It produces a special foam that absorbs dirt and dust from carpets and carpets. Once the foam has dried, remove it with a simple vacuum cleaner. Code: D234. Packaging: 1 L bottle. 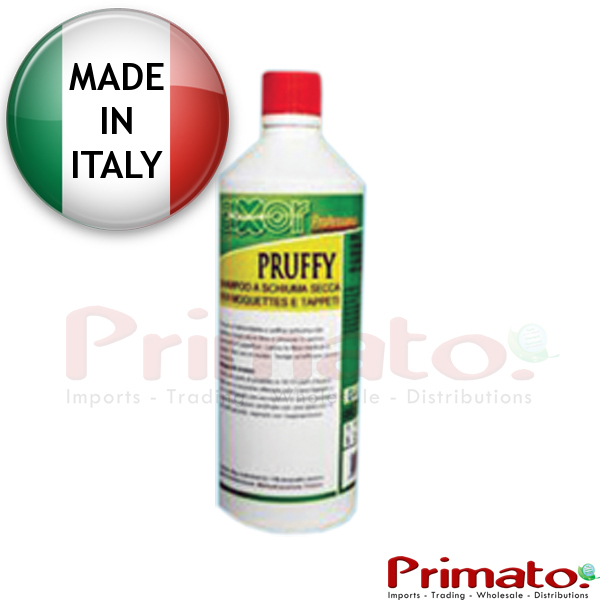 Dilute 1 part of Prufy into 10-15 parts of water. After a few minutes, a foam is formed that pulls dust and dirt. Remove with a simple household vacuum cleaner.